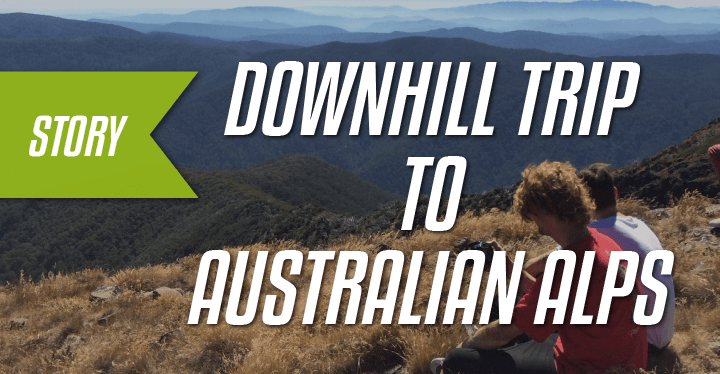 →Skating in the Australian Alps in Victoria. Skating in the Australian Alps in Victoria. 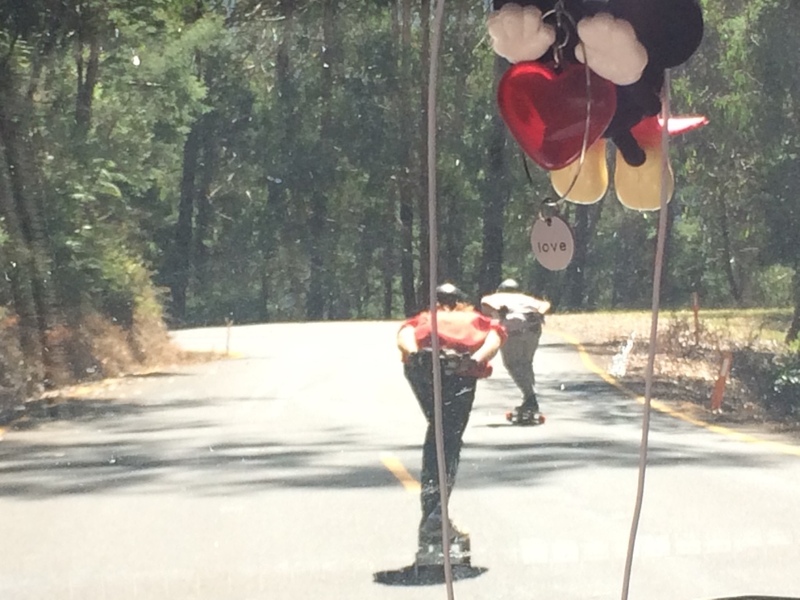 In my opinion the best part about long boarding is skating down through mountain roads, enjoying the scenery while living it up with a bunch of mates. 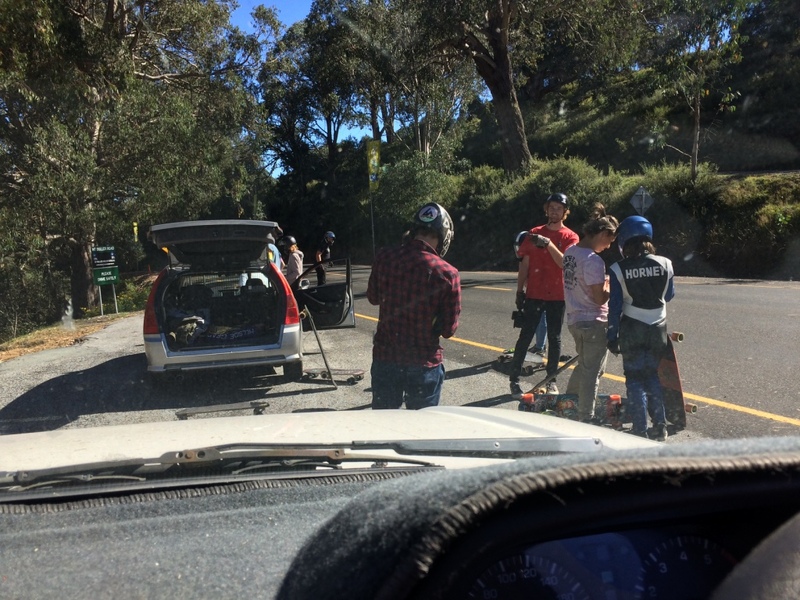 This article is about my camping trip in March 2017 with the downhill skaters from Melbourne, hitting Bulla & Lake Mountain roads. I filled up with anticipation. 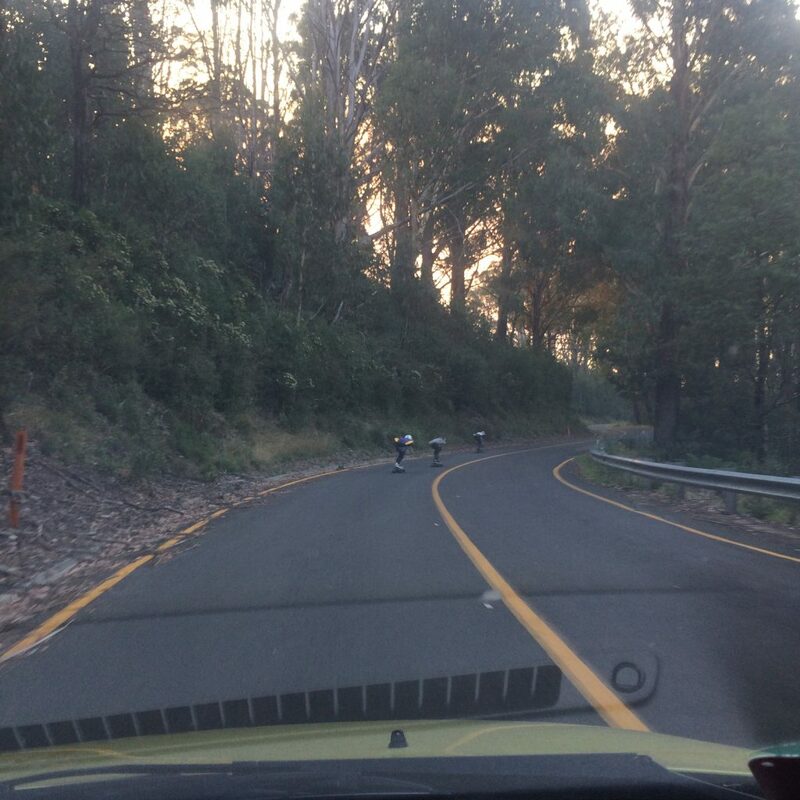 The 3 hour car ride was nearly coming to a close as we got closer to the Mt Bulla, with me and fellow rider Karol Pabich. We both drove through the dark desolate Australian landscape. 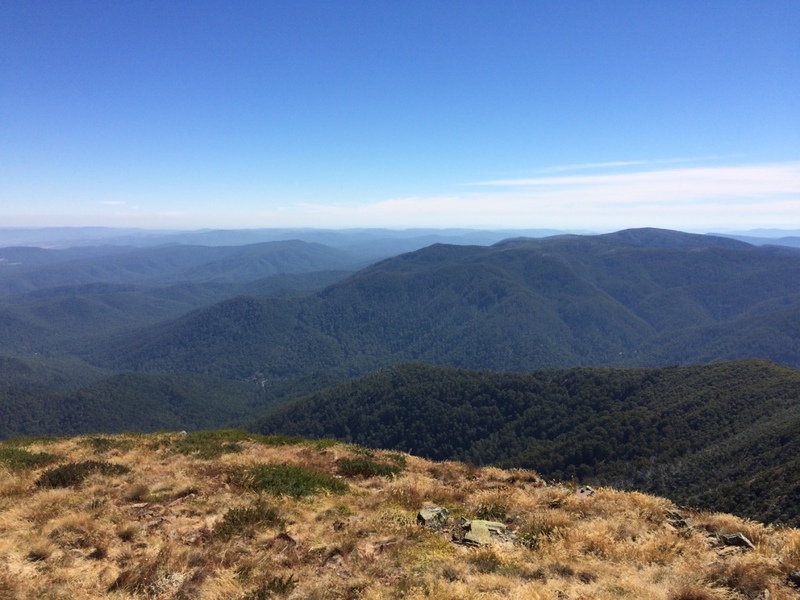 Finally arriving to the bottom of Mt Bulla. Where the other skaters, were enjoying the warmth of the fire, embracing the good vibes and mountain air. 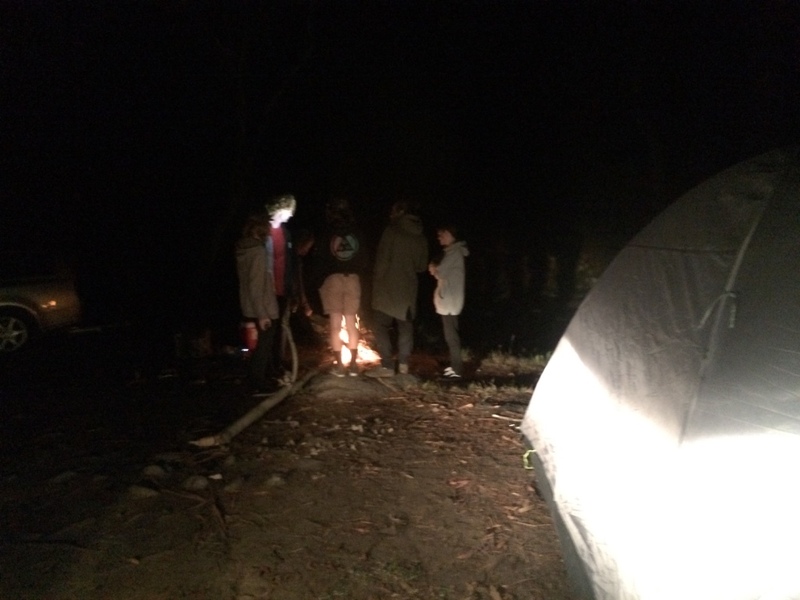 The surrounding forest was dimly lit by the crackling fire with a gentle stream flowing through behind our campsite.It was great to be in completely different world, far away from the bustling city scape. The sky treated us, showcasing thousands of stars, which would otherwise be hidden by the veil of light of the city. It was bliss. The road is over 15 kilometers long, with good pavement, a grade of 5.93% and the steepest section being around 9.73%. As early morning cracked open, we all scrambled to hit the road as early as possible. Filling up two follow cars, we drove up the mountain super pumped to hit the asphalt. The mountain road gently curved with lots variation. With lots of turns, hairpins and some mellow straight sections it was something anyone enjoy. We were surrounded by massive Australian gum trees,with some large drop offs on the sides. So we had more than one reason to stick to our lane! With the perfect Autumn weather, sunlight filtered through the tree leaves.The roads were almost empty besides the lone wandering car, and ourselves with the radio blasting, charging up the hill. We all hit the road. The road was well kept, with high speeds achievable, but gave plenty of room to go down at a chilled out pace. The road curved down the mountain side, curving through the mountain like a snake. There were plenty of challenging corners of which I drifted through quite easily, a improvement thanks to the roads in Hawaii. Shooting you out with a significant amount of speed into the next section of the track. Halfway through a large clearing opened up, where we decided to stop and set as the end of the track. Stoked for a second round, everyone clambered out of the cars ready to head down the mountain once again. However everyone suddenly went dead quiet. We suddenly found a large 4wd police car crawling up to us. Luckily in Victoria our cops usually have a good relationship with us, therefore are usually quite reasonable to us. Despite letting us off, we had to move on.This didn’t stop us from hitting other spots, so we all packed up and moved onto other mountains. A bit past the small but colourful town Marysville is a picturesque drive that goes fairly high that leads up to some awesome spots. As you ascend the winding road, you are greeted with an entire mountain side of massive dead gum trees.The white/grey burnt out husks of a bush fire long gone.Looking like something from a post apocalyptic landscape. The Lake mountain road leads up to a resort, just like Bulla curving through a forest until the dead end at the top. Providing lots of picturesque views of the valley down below from the top. The run is great for beginners or just a practice for getting better at holding tucks and having a pack run with the boys. As the run is over 9.50 kilometres long with a grade of 3.75% . The steepest section is 9.78%. Top speeds don’t really excel 60 km/h, making it great for beginner downhill riders. After doing a few pack runs we decided to call it a weekend after one final run in the setting sun.